Ever wonder why feet are so stinky? 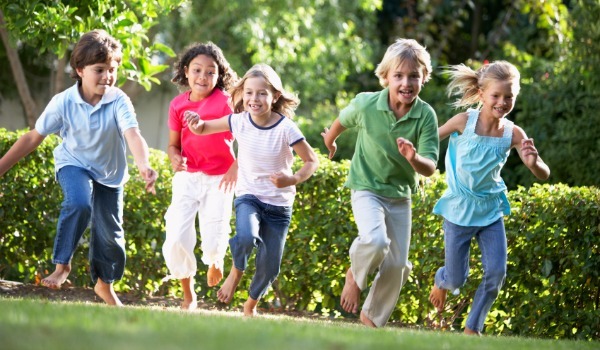 We wanted to share this very interesting and helpful article first posted on kidshealth.org. We hope you enjoy it and would love to know your comments. They’re your tootsies, your dogs, your piggies. Whatever you call them, feet are an important part of you. Without them, you couldn’t stand up, walk around, or run a race. In fact, your feet work so hard for you that sometimes they get sweaty. And stinky. Think of a hot, summer day when you’ve been walking around an amusement park all afternoon. Oooh, boy — your feet have been in those sneakers a long time! On the car ride home, you decide to kick off your shoes. It feels good, but it smells bad. In fact, you might get an earful from the other passengers in the car: P.U. — what stinks? Bacteria are to blame. These tiny critters normally inhabit your feet and love dark, damp places like the insides of sweaty shoes. They multiply in sweat, so if you don’t wear socks, that really gets them going. In the right conditions, bacteria will feast on your feet. These bacteria eat dead skin cells and oils from your skin. Their colonies will grow and start getting rid of waste in the form of organic acids. It’s those organic acids that smell bad. And for 10% to 15% of people, the smell is really bad. Why? Because their feet are extra sweaty and become home to bacteria called Kyetococcus sedentarius (say: kite-oh-KAH-kus SEH-den-tair-ee-us). These bacteria produce more than just stinky organic acids — they also produce stuff called volatile sulfur compounds. Sulfur compounds usually are powerful and awful smelling. If you’ve ever smelled a rotten egg, you know what volatile sulfur compounds smell like. So how can you stop your feet from stinking? Well, you might not be able to stop stink completely. But if you cut down on sweat, you’ll cut down on the odor. Be clean. Wash your feet every day. Dipping your feet into a tub of water and scrubbing may be better than just letting the shower water splash on them. Be sure to dry your feet when you’re done. Make sure your shoes aren’t too tight. If they are, your feet might sweat more than normal. Avoid shoes made of plastic. Plastic and some human-made materials don’t let your feet breathe. Go barefoot. Let your feet air out by letting them spend some time in the open air, especially at night. But don’t go barefoot too much — especially in the outdoors — because that can invite certain bacteria (like that Kyetococcus) to live on your feet! Don’t share shoes or towels with others. If you do, that may transfer stink-causing bacteria from other people’s feet to yours. Gross! For most people, foot odor can be controlled. The worst part about having stinky feet is that it’s embarrassing. If you’re worried about this, just keep your shoes on when you’re in social situations, like when you’re at school or riding in a car. Cold & Flu Season is Here: Be Prepared! The Center for Disease Control (or CDC) recommends a three-step approach to fighting influenza ( commonly known as The Flu). The first and most important step is to get a flu vaccination each year. But if you get the flu, there are prescription antiviral drugs that can treat your illness. Early treatment is especially important for the elderly, the very young, people with certain chronic health conditions, and pregnant women. Finally, everyday preventive actions may slow the spread of germs that cause respiratory (nose, throat, and lungs) illnesses, like flu. 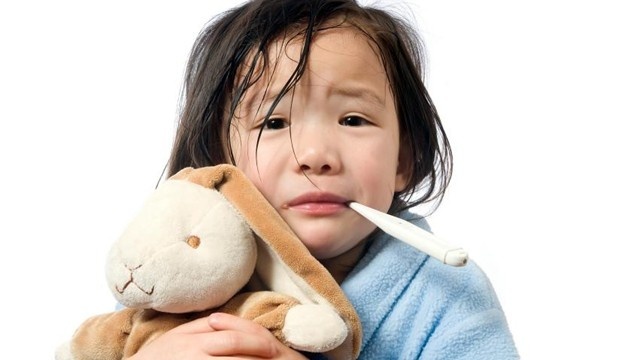 • If you or your child gets sick with flu-like illness, CDC recommends that you (or your child) stay home for at least 24 hours after the fever is gone except to get medical care or for other necessities. The fever should be gone without the use of a fever-reducing medicine. 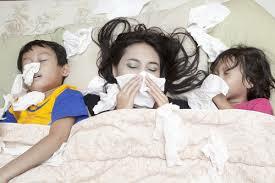 • While sick, limit contact with others as much as possible to keep from infecting them. • Cover your nose and mouth with a tissue when you cough or sneeze. Throw the tissue in the trash after you use it. • Wash your hands often with soap and water. If soap and water are not available, use an alcohol- based hand rub. • Avoid touching your eyes, nose and mouth. Germs spread this way. • Routinely clean frequently touched objects and surfaces, including doorknobs, keyboards, and phones, to help remove germs. • If you begin to feel sick while at work, go home as soon as possible.Mother taking care of sick child What additional preventive actions can I take to protect my child from germs that can cause respiratory illness, like flu? • Make sure your child’s school, child care program, or college routinely cleans frequently touched objects and surfaces, and that they have a good supply of tissues, soap, paper towels, alcohol-based hand rubs, and disposable wipes on-site. • Ask how sick students and staff are separated from others and who will care for them until they can go home. Everyday preventive actions can help slow the spread of germs that can cause many different illnesses and may offer some protection against the flu. For more information, visit http://www.cdc.gov, or call 1-800-CDC-INFO. Spring time is now here. For most children, this means more outdoor activities (swimming, camping, bike riding, etc.). For all parents, this means being extra vigilant to keep your child safe and healthy. Avoiding and Treating Spring Allergies, which can cause your child to have a lot of sneezing, plus a clear runny or stuffy nose, itchy and watery eyes and a cough, especially when he has spent a lot of time outside.Allergic rhinitis, or hay fever, is a common problem in infants and children. The most common symptoms include a stuffy or runny nose with clear drainage, sneezing, itchy eyes and nose, sore throat, throat clearing and a cough that may be worse at night and in the morning. These symptoms usually occur during certain times of the year for people with seasonal allergies, corresponding to being exposed to outdoor allergens, such as tree pollens, grasses and weeds. Other people may have perennial allergies, with problems occurring year round from exposure to indoor allergens, such as dust mites, pets, second hand smoke and molds.Other signs of having allergic rhinitis include the ‘allergic salute,’ a common habit of children which consists of rubbing their nose upward. This is usually because the nose is itchy and this practice can lead to a small crease in the skin of the lower part of the nose. Children with allergic rhinitis also commonly have ‘allergic shiners,’ which are dark circles under the eyes caused by nasal congestion.Allergic rhinitis does run in certain families and are more common in children that have asthma or eczema. It is also more common in children that are exposed to second hand smoke, air pollution and pets.Having uncontrolled allergies can put your child at risk for getting a secondary sinus infection, ear infections, and for having poor concentration at school. It can also make asthma symptoms worse. Prescription allergy medications include the newer, non-sedating antihistamines, such as Claritin and Zyrtec (usual dose is 1-2 teaspoons or 1 pill once a day), and topical steroids, such as Nasonex, Flonase, and Nasacort Aqua (usual dose is 1-2 squirts in each nostril once each day). If your child’s symptoms are well controlled, then you can decrease the dose of the nasal steroid that you are using for 1-2 weeks and then consider trying your child off of it and see how they do. Continue the antihistamine for 1-2 months or until your child’s allergy season is over. Allegra is another antihistamine that is commonly used in older children because it is only available in a pill form. If your child does not improve with these interventions, then we will consider having him see an allergy specialist for skin testing to figure out what he is allergic to and to possibly start immunotherapy injections (allergy shots). 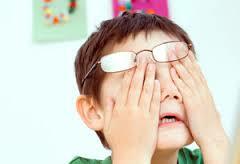 See the guide to Allergies and Children for more information. Welcome to 2014! Come and learn about new changes to NJ Family Cares policies and procedures at the FSCS Health Center.